That's it! Questions about reserving online? Please send us an email. Yes, looking forward to it. Not this time, maybe next. If you prefer to mail in your reservation and RSVP please download it here, print, complete & send. *You may make your reservations online and mail in your check. Reservation List at the door. We will not be mailing out tickets for this event. Unable to make the meeting? 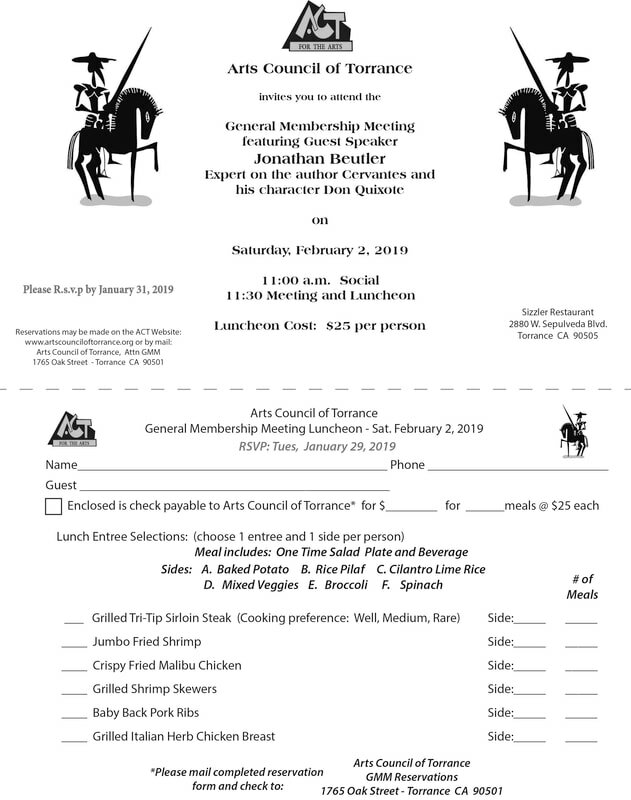 Consider making a donation to the Arts Council of Torrance. ACT is a 501(c)(3) non-profit organization & your support is greatly appreciated.